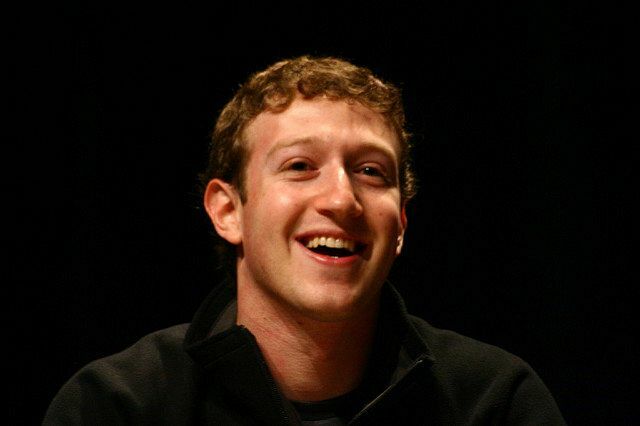 Mark Zuckerberg in 2008 (image by Jason McELweenie via Flickr). As Australian media struggles to survive, digital giants such as Google and Facebook are unfairly reaping the benefits. AS THE DUST starts to settle on the merger between Nine Entertainment and Fairfax media, many of us will forget just how volatile the local news media industry is. News organisations are in a precarious situation as they transition from print to digital platforms. Newsrooms are shrinking. Journalists have to take their wares to the freelance market where there is no job security. There aren’t any sustainable training opportunities for fresh media graduates. I would know. I am a soon-to-be media graduate. A lot is said about the importance of free press in a free society. Without local journalism, people may not know what is done in their name by those in power. But what concrete steps have we taken to protect our local news and journalism industry? Earlier this year, following a Senate Inquiry, media experts made several recommendations to the Federal Government in the 'Future of Public Interest Journalism' report. But the Government did not offer any help. It turned down a suggestion to grant tax-deductible status to news media subscriptions, delivering yet another blow to the industry. Right now, another inquiry is underway. The ACCC’s Digital Platform Inquiry is evaluating the impact of Google and Facebook on local news media. It's aimed at exposing how these digital giants aggregate local content – mostly news – and make money from it without paying the source. This is an important issue to bring out in public. Everyone knows advertising is the base of the business model sustaining news and journalism. By impacting it, Google and Facebook have pulled the rug out from underneath them. Last year, Facebook recorded $327 million in digital advertising revenue in Australia, and Google reported $882 million. Many industry experts believe most of this revenue came from aggregating local news content and swaying advertisers away from media organisations through cheaper rates. Google and Facebook have not clarified the source of their revenue because Australian corporate reporting standards do not require them to. This is a problem — a black hole in the local digital laws. The fact that Google and Facebook can surreptitiously make millions from local news content and avoid paying any royalty to the source is appalling. Local news media is already struggling. Like a parasite living off its host, these two corporate behemoths continue to breathe down their necks and make money off them. As a member of the local media and journalism community, I demand that our Federal Government do more. Their counterparts in India have imposed a 6 per cent equalisation levy on Google and Facebook’s advertising revenue. In the EU, plans are underway to impose a 3 per cent levy which will bring in €5 billion a year. Why can’t our Government follow through on the recommendations of the first Senate Inquiry? Recently, many senior journalists registered their concerns about lack of financial support at a forum in Sydney. It is time we introduced a royalty tax on Google and Facebook, directing a portion of their advertising revenue to fund local news media. Prashant Bhatia is a writer, researcher, interviewer and speaker who is currently in his final semester of Masters in Global Media and Communications at the University of Melbourne. On Twitter, he's @mrprashant_b.